The ultimate taste & crunch. Traditionally hand peeled & pickled in a rich, malt vinegar. Suitable for vegetarians and vegans.The onion lover's favourite. 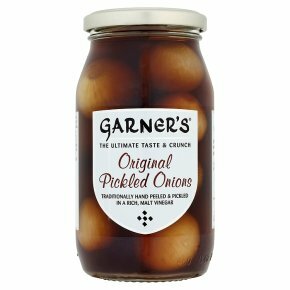 A pickled onion with a genuine homemade taste and unbeatable crunch. The perfect partner for your ploughman's.